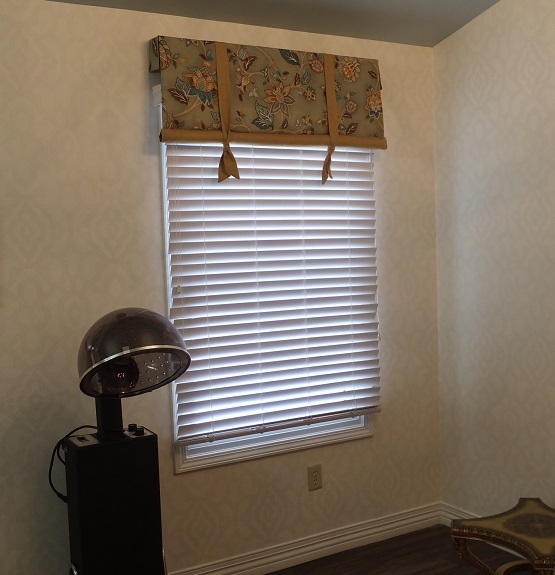 Valance and Blinds in Salon - Sew What? Sew Anything! The valance and blinds in the salon at the Grand Mere Senior Day Spa are just part of a much bigger installation. This tailored valance was the perfect solution for the salon window.